To make sure you get the best deal we'll show you great prices from all of our drivers, including Mak Removals, if they're available on the day of your move. Have a question for Mak Removals? No problem, send them a message and they'll email you back as soon as possible. If you have a more general question you might find it answered in the FAQ, or you always contact one of our brilliant customer service team. * Mak Removals won't be able to see your email address. fully equipped with straps, blankets and trolleys. - 1 item and student moves. No job is too big or small! Anything you need to move, we have the knowledge. We complete in style. Large, clean and tidy luton vans ready to go! please request a call back from the driver we are always happy to help. I would like specially thank to one of the workers. I booked 2 people to help me handle the stuffs, I forget to ask their name but one of them was very helpful and greatly care about my stuffs, he worked very hard and managed to get things done on time. During the move, our van can't pass through Rotherhiter tunnel so he must went a further route but he tried the best to reach the destination as soon as possible, then he tried hard to unload things and brought them into new property. He even brought up a large shelf up to 5th floor himself as its not fit in the lift. Many respect to that man, thank you very much for your services. Fab guys. Didn't expect anything less from heros anyway. Great service, it was quick he helped me loading and offloading. Thanks Recommend them. This team went above and beyond with their handling of my belongings. There was particular difficulty with a large sofa bed and a small doorframe, but they rose to the occasion and managed to get it inside without damaging it. Amazingly helpful and hard-working, they took the stress out of my moving day! The driver and helper were extremely efficient and polite!!! An item did get damaged a little on the journey but the driver covered the damage!! Very nice people - highly recommended!!!! The driver and his two colleagues were terrific! Arrived on time and did a lot of hard work in a timely wise manner. Highly recommended! very good service. friendly team. I'm overall happy with the move, but they weren't very careful with my items and they broke a plant. They didn't have a space for me in the van and I had to travel by bus. Also felt like they were stalling so they could charge more money. I was very impressed and would highly recommend them. They were polite, helpful and incredibly quick! They coped brilliantly with the 4 flights of stairs in the property I was moving to and made the whole move completely stress-free. Excellent service. Polite, friendly and efficient. Definitely recommend these guys to others. Great guys, were 10mins early and completed the job quickly without any issues - highly recommend! Excellent service, prompt and effeciant ???????? Great guys who were efficient and friendly. Loaded everything super quick and helpful at the other end. The guys who helped me move today were amazing! They were on time, super quick and helpful and really friendly. They made moving so much easier for me and I would highly recommend them! Great hard working guys, really helpful and quick! These guys were brilliant. Nothing daunted them and Noel was a real problem solver. We would recommend them without hesitation. Virtually a stress free move. Thank you. Lovely guys, friendly and helpfull. They were super quick too. Thank you! This removal service went very well. The team were courteous, helpful and effecient. I wouldn't hesitate to recommend them to friends and family. Brilliant service - they gave me plenty of notice they were running late from their previous job, packed up the van in 10 minutes, drove in 10 minutes, unpacked in 10 minutes. They knew their stuff about the best way to handle the IKEA furniture (so as not to put any pressure on weak spots) and made the whole thing very stress-free. Would highly recommend! Driver was extremely patient and helpful despite us taking a long time and it being a tricky move. Noel arrived a few minutes late but call ahead to advise me, once he arrived he has perfect! This is my third move with this company and the first one that has gone as expected. The other two were very poor I'm afraid!! Both men were very helpful and curtiose. I would recommend this firm to my friends and family. They were brilliant - had us loaded in just under two hours and were so careful getting things downstairs too. They were lovely guys and did a great job, made moving much easier for us! Best removals I've ever worked with. Proffetional, fast. Only good things I can say. Both driver and Helper were excellent for our move. Highly recommended team. Thank you. They were very helpful and efficient. We`re on time and very quick. I`m very happy with my choice and if necessary use them again. They proof the point that you don`t need spent mini fortune to have high quality service. Thank You. Many Thanks, all went well. Very happy - the guys were quick, careful and helpful. The vehicle did not come with straps and blankets as it was a small van. There service was very good and I was moved within 1 hour. They were incredibly efficient and did a brilliant job. Would definitely recommend them and use them again. Excellent and really helpful. Very pleased. The crew ran late but rang and kept us posted. They were very professional, respectful and friendly. Would recommend hands down. Excellent service and would use again!! My request was for driver + additional man. Both were very efficient and worked well together. Nothing was too much trouble and they looked after my goods. The removal was from a ground floor ex-local authority flat so from the flat they had to take the goods along a path, out of the estate through a metal security gate and along a further path to the van. Imagine the patience they had having to do this many times. I travelled with them to my home where the goods had to be offloaded into an already cluttered old sunlounge. Given these circumstances, they still offloaded the goods pleasantly and perfectly. I would use them again and can recommend them to you. 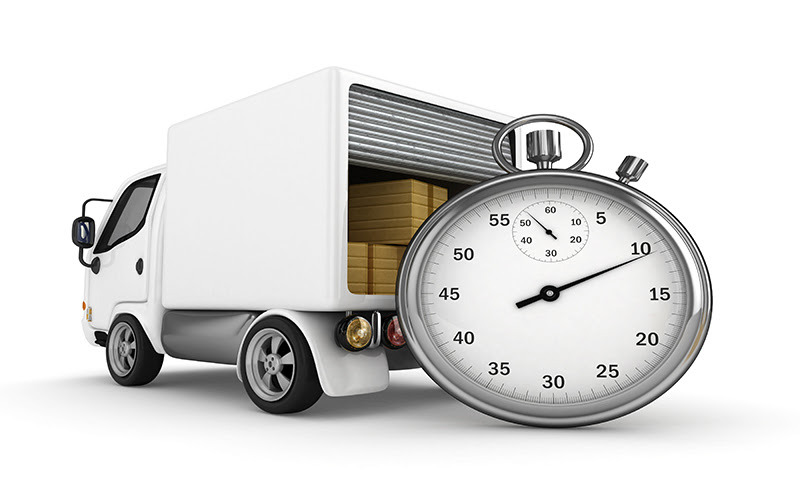 Fantastic service - everything was loaded and unloaded into my property within a really short amount of time. Friendly people and very polite - would definitely use them again and recommend to others. Driver got caught in traffic but rang ahead to let me know. Loaded quickly and was really helpful. Delivery was on time and really efficient thank you !! Our moving date and time was very confused and changed at least three times. Throughout Noel the removal supervisor was super patient and polite. When the move was eventually confirmed at short notice and late in the afternoon he and his colleague were fast and efficient. Excellent job. Thank you. Friendly and reliable - would recommend! Easy process on the website .. Very pleased with quotes and choices . Company used provided a good and efficient service . Van was late because of circumstances beyond their control. Both guys were delightful, really diligent and careful with my belongings. They loaded up my things quickly and then unloaded just as quickly too. They were just as considerate at my partner's home after 2 journeys around the south circular on a Monday morning. I have no hesitation in recommending these guys. They took away a huge chunk of stress out of my move and have no doubt they'll do the same for you. 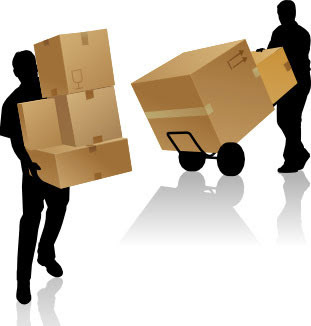 Great movers, professional, efficient and hard working! Vivi the driver was absolutely fantastic, we could not have had a better person than him He was organised, thorough and patient. Would highly recommend him. Really quick, really efficient and polite. Thank you very much, I would recommend and use your company again. Great guys, professional and extremely polite. Friendly, helpful, excellent service, thank you. Very friendly and professional. Will definitely use again. The guys who turned up were amazing. Extremely professional and polite throughout. Very good service and the driver was extremely helpful. A great performance all round from Mak Removals. They were an hour late through no fault of their own because of appalling traffic problems, but kept me fully informed of their progress. An expert bit of driving squeezed the van into our in-and-out drive, and the two men worked very quickly, efficiently and safely. Would I use them again? Absolutely; a really professional job, and very helpful men (I'm only sorry I didn't get their names, but they didn't even stop for a coffee, they were so keen to try to catch up a bit of time!). Excellent service. Would use again! Excellent service, both members of staff were courteous and worked very hard all day. Couldn't have moved without their help and very grateful to them for their efforts. Went above and beyond 10/10. Highly recommend, will use again! driver helped even though we didn't pay him to, which I was happy about. They are friendly and help my roommate for moving small stuff as well. Gentle and kindly moving my fragile stuff. Very reliable !!! Highly Recommend! These guys are very professional and know exactly what they need to do. They arrived early, got everything moved super quickly whilst taking care of our items. It was raining and they had no complaints. Would highly recommend and will definately call upon these guys in my next move. Both driver and assistant were excellent, and supported me as well when the new owner of the house that I was vacating became threatening towards me. They were superb! Perhaps just do quick sanity check on google maps as we took route that was 30 mins longer as result due to peak hour traffic. Old sat navs don't always pick that up. But the guys were great today. Would definitely recommend. Really nice chaps, helpful, patient and professional would recommend and use again. These guys made my move so easy. Drivers where both excellent. On time, very nice and chatty plus fast at their job. The move was speedy and smooth. Would 100% use again. Cheers guys. I used Mak removals and they were excellent. I don't normally write reviews but felt obliged to do it today. Moving is obviously very stressful and I witnessed some very slow movers yesterday on our road with the owner very upset and stressed. Our move today was the opposite. The lads moved very quickly and safely all my house and were very respectful and nice mannered. You can't ask much more from a company than efficient, safe, fast moving with workers who break a sweat to help move you fast. Mak were excellent and I would use them again. Both driver and sideman were reliable, hardworking, respectful and cheerful. We were impressed and pleased with their attitude. Very efficient, handled a couple of difficult, windy staircases with ease. Would happily use them for the next move. Great service, right on time, very helpful. Highly recommended. Both guys were lovely and really helpful. Drivers were very polite and very quick getting items moved in and out. On the whole respectful of items. Arrived slightly late, some damage to large wardrobe sustained, also took a route via a congestion charge zone (not necessary) for which I was asked to pay. Hugely impressed. I had some reservations as I had never used their service, but they were fantastic. They turned up 5 mins early, got on with the job quickly and in time. Stanley and Vivvy were polite and worked really hard. Fast, efficient and courteous - didn't even have to ask to take their shoes off to go upstairs! The guys were wonderful, worked very hard in ridiculous heat and got everything moved in less time than I expected. I can't fault them, they really were great. Fast and efficient moving, 100% recommended! Excellent service, lovely driver and helper who went out of their way to make our move easy. Definitely went the extra mile in helping us. Thank you! The guys you sent were quite simply the most polite, hard working and diligent help I've ever professionally experienced. 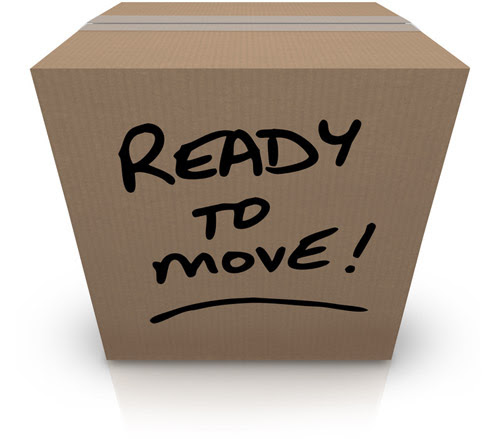 It was the smoothest, easiest, most affordable and enjoyable move I've ever had to go through. Nothing was impossible and they went beyond the call of duty to manage everything I needed to get done. They were so time conscious they virtually ran their way through the job. They were incredible and a real credit and asset to your company. I will use them again and would recommend their use to any other who ask. Well done and thank you. guys were a bit late due to traffic but kept me fully informed. they could not have been nicer or more professional, they went above and beyond for what was a tricky, heavy fishtank move, and i would heartily recommend them to anyone. thanks! The lift broke in our new place and the guys happily helped carrying everything upstairs. Couldn't be happier. Top notch. Exceptional service and very professional. On time, dealt with items so well and were very friendly. Would highly recommend. This is a fantastic company. They arrived spot on time and were really polite, kind and friendly. It was a difficult move with some big furniture, but even with all the bother they stayed to help me clear up a bit because "We might as well use the two hours you paid for". I've had some truly awful experiences with removal companies, but this was completely different. Brilliant. I've already started recommending it to my friends. Thank you! The 2 guys were brilliant, they were punctual and very polite. They had me moved out and in to new place within an hour with each item and box placed in the correct room. Would recommend these guys to everyone - good job. Absolutely wonderful service. On time, polite and the guys worked so hard. Brilliant service, and very nice people! Easy to book, reliable service, polite and helpful staff. Will definitely use their services in the future. Our drivers Noah & Riddy were brilliant, would definitely recommend. The guys that did it took it over from another driver that let me down. I understand a lot of drivers book themselves a lot and thus have to let you down at the last minute; but seems as though there is often somebody to take over. I had two helpers for my student move and both were very friendly and professional. They completed the move very quickly and respected my items. Would definitely recommend! There were hidden cost - congestion charge, on top of an additional charge for running over the time which was also inflated last minute. This let them down. We felt they were taking advantage even though they were an hour late arriving. Excellent service and value, I would not hesitate to recommend this removals business. Overall my experience with Mak & Son Removals via Compare the Man & Van was not too pleasant. I booked the service for two hours for a driver + 1 helper to move the stuff. The reason to book one additional helper was to ease the move process, however I was unable to leverage from it as the helper was too lazy and he was not helping much to driver in loading. Only the loading process took 1.5 hours and the entire job took 4.5 hours to complete. With the lazy helper, I ended up in assisting the driver in loading and unloading. The additional helper was wasting time in smoking and standing. On the other hand, the driver was really brilliant and wanted to close the job efficiently. I appreciate the efforts of the driver and his hard-work, however the helper messed-up the service big time. Overall the move went well. The driver aully.nd his helpers worked swiftly to load my belongings and get me to my destination. They were polite and treated my possessions with respect. However they were more than an hour late, which although it was not their fault, should have been foreseen and perhaps contingency plans put in place. Excellent service - I'm very glad I chose them. The move took 5 hours instead of 3 hours. I find the driver and helper were less efficient and taking a longer time to complete the task. Based on my previous experience, the move only take maximum 3 hours. Noel and Lloyd were great guys, they arrived early and were extremely helpful and considerate with the job. I wouldn't hesitate to recommend them for any one looking for a professional and competent service - Thank you guys. Came across rude! We done most of the work! On the day decided to tell us about extra charges for toll roads they used to come to us! 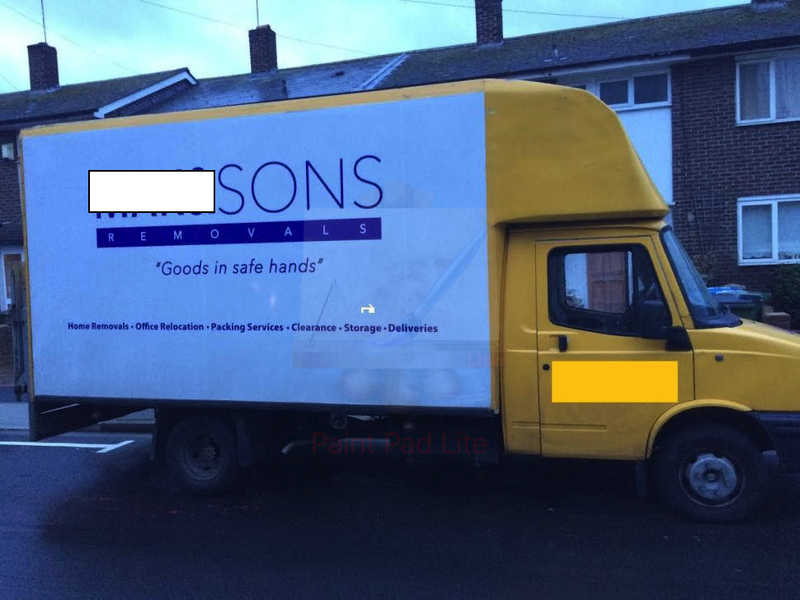 Lovely kind removal company. Polite hardworking and careful. Couldn't have asked for more! driver running late but called and let us know. Polite and efficient, would definately recommend to family and friends. great experience. very respectful, professional and efficient. They were both incredibly polite and did a great job. Would recommend Mak & Son to anyone who wanted to move.